I really like eye shadow pencils - especially when I'm traveling. So when I was given the opportunity to try these NYC City Proof 24-Hour Waterproof Eyeshadow Pencils, I jumped on it! Pencils are easy to use, travel well and come in a variety of colors! The 2 I have for you today are in the darker end of the spectrum - a brown called Tribeca Taupe, and a gunmetal grey called Empire State Building. These pencils are like fat crayons... and they twist up from the base. So they are super easy to "reload" as the pencil starts to wear down. You know what else these are good for? Lining the under part of your eye to add a pop of color! Below are arm swatches of a few swipes of these 2 colors. 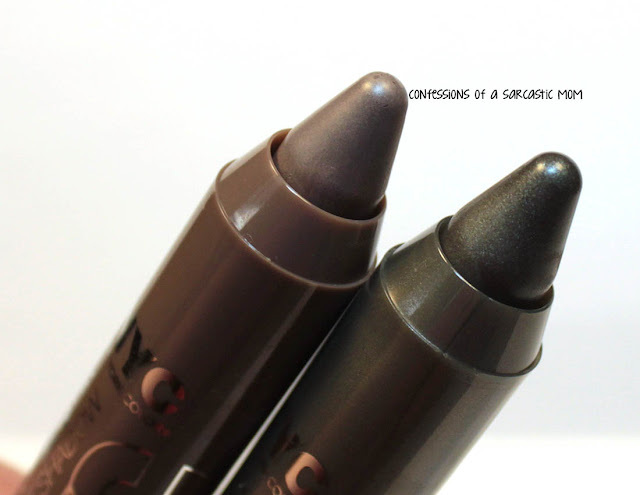 They are moderately pigmented, but as you can see, they build-up nicely! 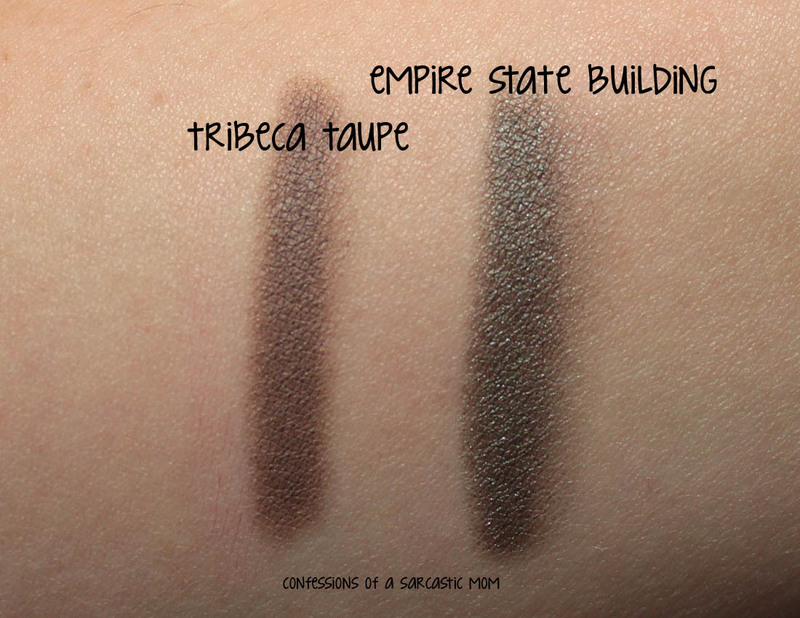 I particularly believe Empire State Building would be excellent for a quick smokey eye look! 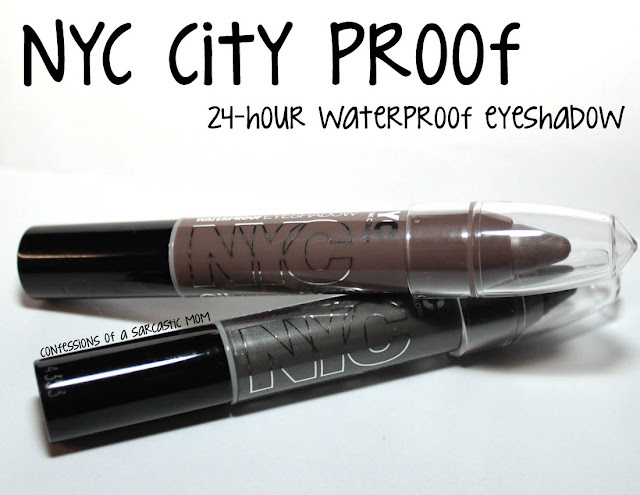 You can get these wherever NYC Cosmetics are sold - I usually find mine at WalMart, KMart and Rite Aid. 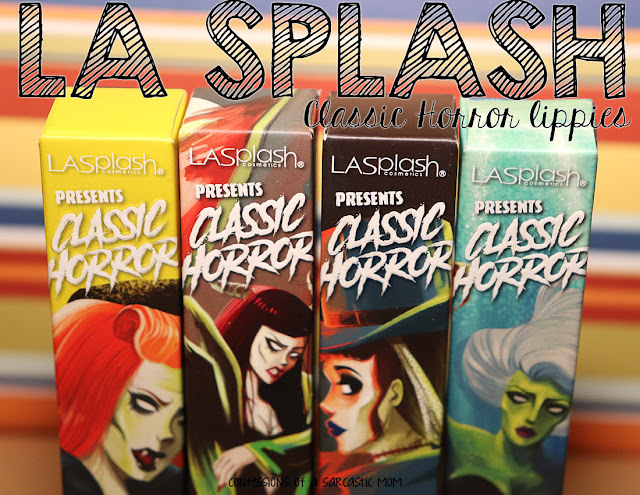 They can be found in the core display, along with a rainbow of other colors! Price point is $2.99.